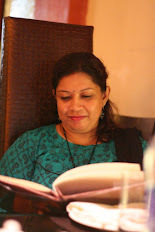 Recently, Kolkata Food Bloggers was invited by the famous "The Biryani Company", situated near Mudiali Club, Kolkata. "The Biryani Company" who are famous for their Burp-less and low-fat Biryani running thier biryani take-away outlet for almost 2 years now. Recently they have opened a fine dining restaurant by the name of "Biryani Bistro" just beside their take-away outlet. They are serving Moghlai/awadhi delicacies with fusion of popular International dishes, cooked with bestest ingredients and by the health-conscious people behind it. The "Biryani Bistro" is the brainchild of owner Mr. Sougata Banerjee, who was a Professor and Management Consultant earlier and worked in Istanbul, Russia, Paris, Africa and many places Worldwide. It was his dream to open a fine dining restaurant one day, as he is a great cook himself and has passion for cooking and good food. His whole family is very passionate about food and very health conscious too. They have fulfilled their dream and created a dream place for foodies and serving food in a healthy way to people of Kolkata thru their new venture "Biryani Bistro", where authentic meets contemporary. The USP of this restaurant is that they serve food cooked with best of the ingredients, using low fat and without using artificial colour or preservatives or MSG. 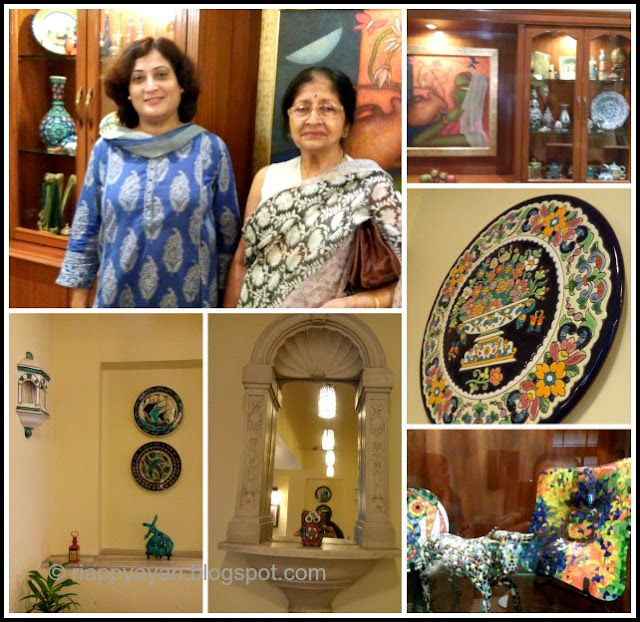 Me and my friend, Urmi Ghosh, representing KFB, reached there and mesmerized with the warm and homely feeling of that beautifully decorated place. 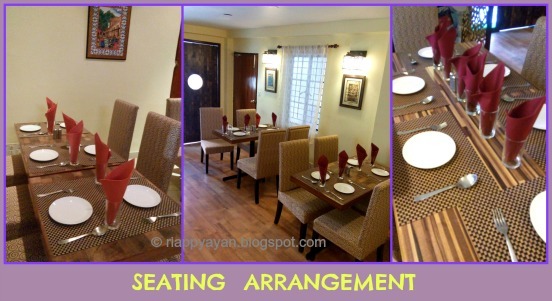 The restaurant is on the ground floor of their own house and has a very pleasant and homely touch to everything. The total dining space is decorated with art objects collection of the owner from around the world. We were warmly greeted by the PR, Gargi Neogi and Manager, Anupam Muhuri as we reached there. After some time, Co-owner and wife of Mr. Sougata Banerjee, Mrs. Sona Banerjee also joined us and she was explaining how they have started this place. Their intention to start up this restaurant was to serve people a variety of food but cooked in a healthy way. She was explaining how they have experimented each and every recipe in their kitchen to deliver a healthy menu in their restaurant. They have designed a menu where they serve mainly Lucknowi/Awadhi food fusioned with International popular dishes, like fondues, canapes, tacos, croquettes etc. Now, about the menu, as I mentioned above, you'll get authentic Awadhi delicacies as well as some fusions like Galawati Kebab on the bed of Paratha, Murg Tacos, Fish Croquettes, Veg and Non-Veg Fondues, Lucknow Canapes or Cottage Cheese coriander skewers. 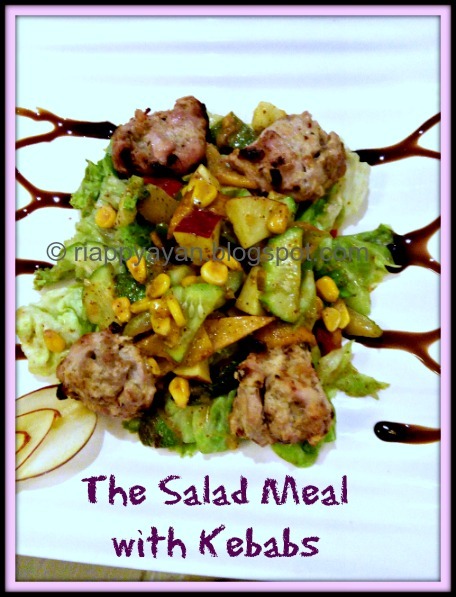 Another interesting food in their menu is Lucknowi Kebabs on a bed of Salads as a full meal idea if you are on diet. Their speciality is off course their light and fluffy Awadhi biryanis, cooked with just Sunflower oil and ghee not dalda and best quality saffron which is very essential for flavourful biryani, will make you crave for more and more. Other than this, you'll get to devour many Awadhi delicacies like Gosht Nihari, Murgh Champ, Murgh Bharta, Murgh butter masala like usual Moghlai delicacies. They have also vegetarian and sea-food delicacies as well in the menu. 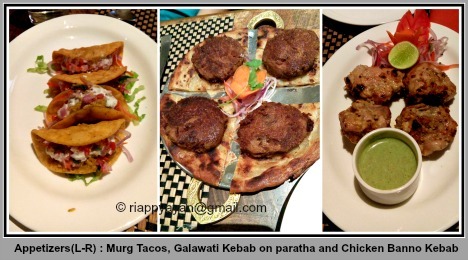 While we were there, we got to taste their Murg Tacos, Chicken Banno kebab, Galawati Kebab on the bed of paratha, a no-carb salad with chicken Reshmi kebab, other than Awadhi Mutton Moti Biryani and delectable Phirni on dessert. No need to say that all the kebabs were cooked till perfection and Galawati kebeb was just melting in my mouth as soon as I took a bite. Salad meal was very refreshing and quite filling. By the time they finished serving all these appetizers, I was almost full, but still tasted their speciality biryani and it was just so light and just the right flavour, not heavy at all. I never had a Mutton Biryani in Kolkata where mutton had such a soft texture as this one, it was just melting in my mouth but still holding its shape just perfectly. It was just a more than perfect biryani for me. Rice was not covered with a thick layer of fat or there was not a strong odor of attar, it was light and fluffy, all the rice grains were just rightly cooked and had a sweet scent of Saffron. You'll feel full but still crave for more. I think all Calcuttan should try their biryani at least once. I say once because once you taste it, you'll hooked to it, just like I've become fan of their biryani. 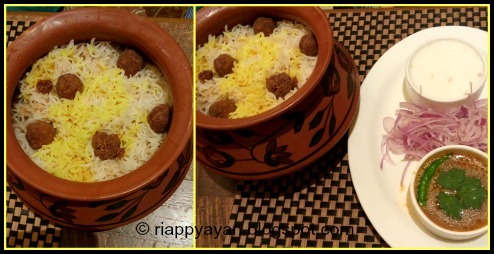 Biryani was served with a spiced mutton stock and a spiced buttermilk or Mattha. 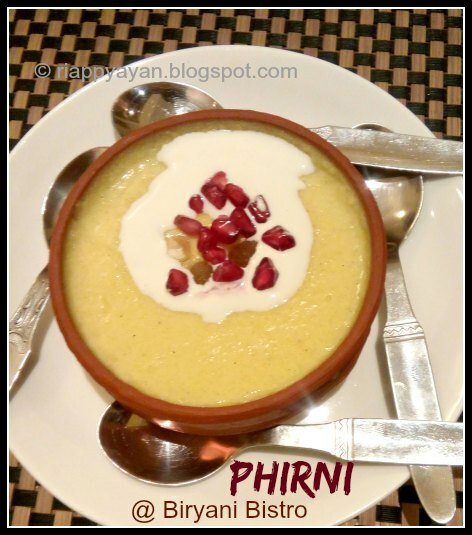 Similarly, Phirni was also just perfect, so flavourful, a well-balanced dessert where sweetness and flavour all got blended into a mouthfull of bliss. 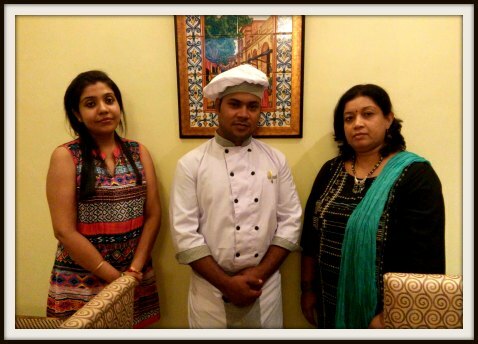 After we were done with the test taste, we met their Lucknowi Chef, chef Ajijur, a well-trained Lucknowi Chef, who is in this profession for years and by generations. We had to take a snap with the chef who can cook such an amazing Biryani. Thank you Chef and and thanks to all Biryani Bistro team for inviting us and for the great hospitality you have offered to us. For once we didn't feel taht we were at a restaurant, but felt like we have come to anyone's house. I strongly recommend all the people of Kolkata and to all my readers who reside in Kolkata or who are even living outside Kolkata, when you visit Kolkata, Visit this place once, you won't regret.